This semester I have started working in a Chinese language center in Guangzhou where my work includes lecturing about teaching Chinese, organizing courses and later also teaching Chinese to foreigners. But how did I end up following the career of a Chinese language teacher? When I was still back in Finland my major was history and for a brief moment of time, I thought about becoming a history teacher. But then I realized the reality of being a teacher in a local middle school, with lovely teenager pupils, and gave up the idea. I concentrated in getting to the museum career instead and worked in a small museum in Tampere for one year before taking the leap and moving to China. After 1,5 years in China I finally started my bachelor degree in Chinese as a Second Language at Sun Yat-Sen University. I’ve dreamed about doing my undergrad in China since high school, but was too afraid to make it happen right away. When I applied to the university, the school’s website told me there are too specializations to choose from: Business Chinese and Culture Chinese or something like that. As an old history major who also studied art history and culture history, I of course wanted to go for the culture specialization. Later I found out there weren’t enough students and the culture had been cancelled. As I didn’t want to study Business Chinese, I went for Teaching Chinese as Second Language instead. Haven’t regretted that decision even for one day! I believed that by choosing this specialization I could progress further in my Chinese and learn a lot of interesting things. I’ve actually always been interested in learning and study methods. I even had a blog about applying to university in Finland for a few years and it was quite well-known at the time. I stopped updating it when I came to China, but the interest towards learning have always been there. Then last summer I was in Hong Kong, aimlessly browsing the Weibo, Chinese Twitter. I found an event flyer about teaching foreigners Chinese. The flyer was well made and funny, so I decided to check out what the event was all about. After I transferred the weibo to my own “fans”, the organization of the event contacted me. They wanted me to say a few words about my Chinese learning at the event. I decided to be brave and agreed (even though I’m quite an introvert). On that Sunday I arrived to the event almost late, after queuing to the local Pizza Hut for half an hour to eat something. A big room was full of women mostly, all interested in working as a Chinese teacher. As the event proceeded I found out it was organized in order to find more students for the Chinese language center which holds courses on teaching Chinese. After the event the language center’s teacher came up to me and asked about my studies and my plans for the future. She said they were looking for foreign teachers and if I was interested we could meet up again in a few days. The way she spoke was something totally new to me, something I haven’t seen in any other Chinese person. She speaks with you like anything is possible and if you work hard, you can achieve everything. Now it’s been a few months since that event and starting this semester, I’m a part of the Chinese language center. From a student’s point of view I lecture in teaching Chinese, giving our Chinese students advice and tips on how to teach foreigners. I’m also planning tutoring and courses for our foreign students. Later I’m going to teach foreigners too. Right now I’m working on building us an English website to introduce who we are and what we do. It’s still in process, but I’ll be sure to share it with you as soon as it’s ready for public. Can’t wait to hear what you think! I have learned so much during these months and I continue to learn new things everyday. There are many challenges of course, as most of the things I do now are completely new to me. I’m diving my head first into the deep end and hope I can swim back to the surface. 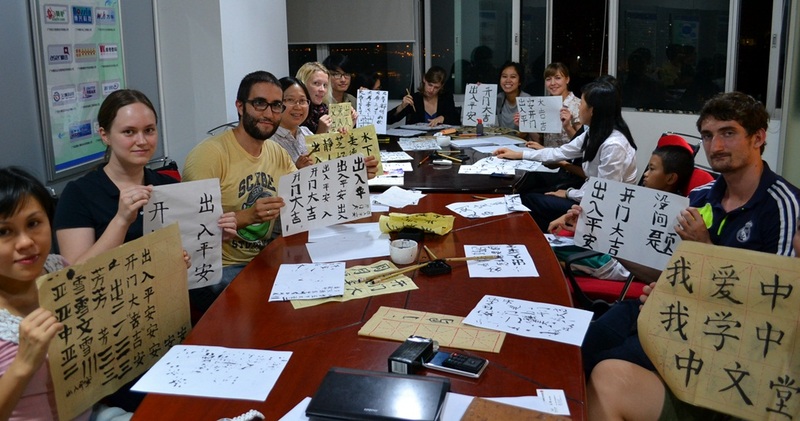 Sounds scary, but at the same time working at the Chinese language center I can combine my passions together. Learning methods, teaching, Chinese language and culture, even social media and website making! I will share more with you as soon as the website is ready, but if anyone of you is interested in learning Chinese in Guangzhou, just contact me! And for my Finnish readers: Meidän kielikeskuksessa voit opiskella kiinan kieltä myös suomeksi! 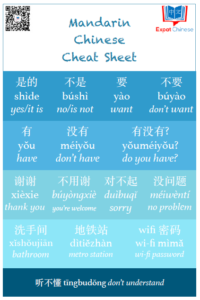 I just read your blog post which was quite interesting, I rarely meet people who think about learning Chinese from that ankle. Sure people learn Chinese so it helps their career, but seldom make a career out of Chinese language. I think this is an interesting discussion for us Chinese majors who are putting all of our time to learning the language. Actually until recently I wasn’t that sure what I wanted to do with my major, not until I met teacher Mong who almost “stole” me for the language center. Hi Sara, I really love your blog! I think you have built a wonderful life in China and I really admire you for that. I can imagine how difficiult and brave it is to step into a completely different culture and even start a family there! You are truely amazing!!! I have lived in both China and Europe for quite a long time. I have to say it’s always feel like the grass is greener on the other side. When i’m in China, i miss the quiet, fresh air of Europe, however, when i’m in Europe, i almost instantly miss the exciting, convenient life (like you have a 7/11 every mile or so) in China, especially the food. To be honest I think europe is quite boring for young people, but much more suitable to enjoy your retirement life. China, on the other hand, is great for new opportunities and there are new thing, strange things and unbelievable things like everyday! Best wishes for your wonderful life in China! Thank you Grace, I agree that China is never boring. I don’t get that convenience part as I don’t live in the city center, but anyway Guangzhou offers a lot of things I couldn’t do in Finland. There are many things that I miss from Finland, but for now it’s enough to go back once a year to enjoy those things. Living abroad have really helped me to appreciate Finland more.